Click Campaigns > Edit this Campaign for the campaign which you'd like to edit > Tool Settings > Peer-to-Peer Add or Edit > Peer-to-Peer Settings. Scroll down to the Name Call of Action Button area. Here, you can change the name of the Call-to-Action button for peer-to-peer from the default "Become a Fundraiser" to anything else that you'd like. You'll want to make sure that the text on this button is a clear call to action for your supporters. If you scroll down further on the page, you can also change the descriptor of your peer-to-peer fundraisers from the default "fundraiser" to anything else of your choosing, such as "advocate" or "board member" or anything else you might prefer for this particular campaign. 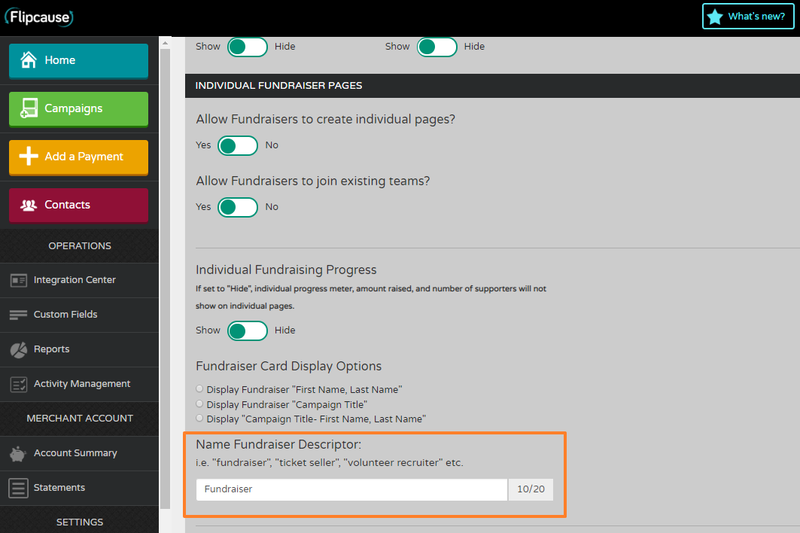 Scroll down to the section called "Individual Fundraiser Pages" and change "Name Fundraiser Descriptor"
If you continue scrolling down on the page, in the Team Fundraiser Page area, you can determine your Team and Team Captain settings. 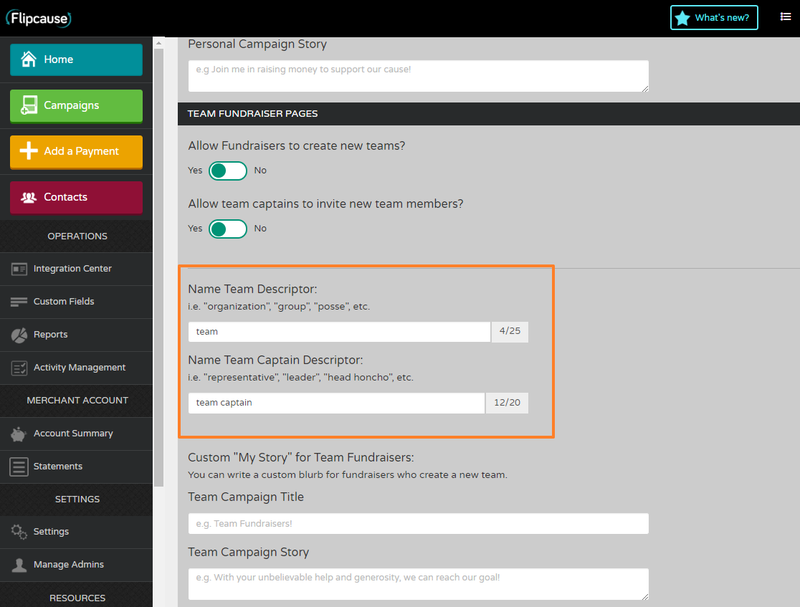 You can also change the wording of "team" and "team captain" to better suit your needs for this particular campaign. Using teams is not required, so if your campaign does not use teams, you can ignore updating this setting.